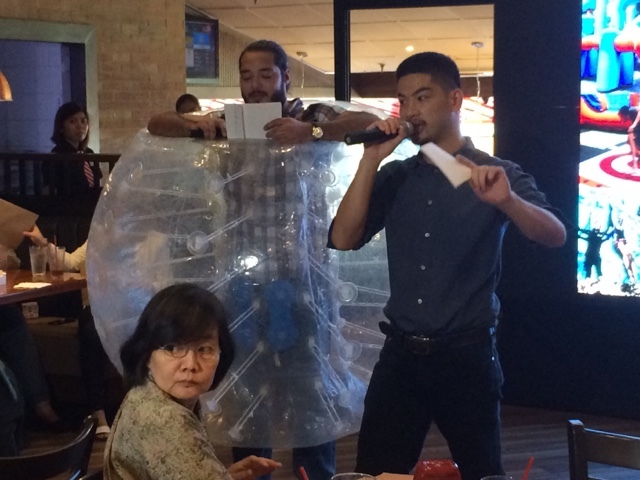 It looks like a fine day for adventure so we're in TGI Fridays in Glorietta for the launch of Alviera's GO PLAY. It's the world's first game show inspired playground so if you're fond of Takeshi's Castle, Wipeout US or Canada and Gladiators, then this is the place for you. Alviera is located in Porac Pampanga and the place is up for development. GO PLAY is going to be open on June 11 and will be situated inside SANDBOX which is the outdoor adventure haven inside Alviera's property. No, this isn't inception, but it's just another fun place to get rid of you stress, enjoy activities with friends and family. Regular attractions will include the Wacky Inflatable Challenge where you can bounce, crawl, climb and conquer a time pressured course in hopefully less than 2 minutes. Aside from that, you can venture into BREAKOUT PHILIPPINES' Escape Room Game where you would have to find clues, so you can go out! There's also the Drink Challenge where you have to fill up mug, drink from it, slide back so you can finish this team game. There's Binocular Basketball where you have to lay up thrice while wearing a binocular helmet. It's impaired vision gone wild while playing a basketball game, you'll be doing something foolish, something fun, all inside the sprawling property of Alviera because FUN is their last name. There are lots more fun attractions inside GO PLAY but instead of reading about it, go experience it yourself. 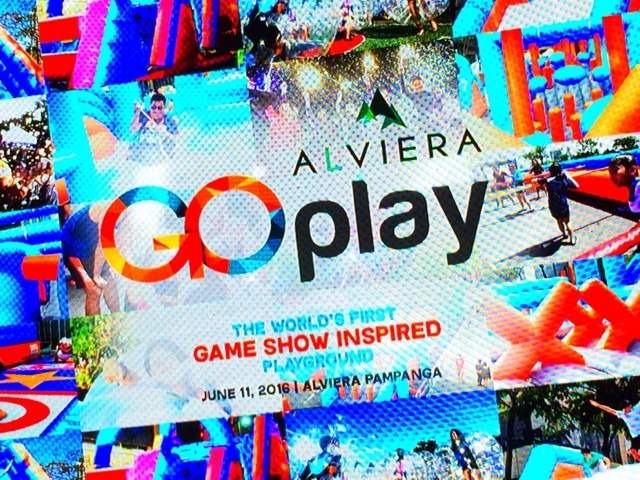 Head on to Alviera this June 11 and experience GO PLAY first hand. Bring your friends, family, and wear proper gear so you won't get hurt. Aside from fun, safety is their priority too. Visit www.goplayph.com or email goplayph@gmail.com if you wanna go!